Remember these guys? 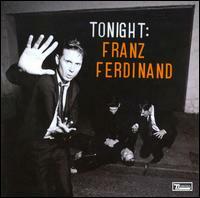 I mean, just what was it about the first Franz Ferdinand record that made them seem so goddamn awesome back in 2004? I recall literally tripping over my shoelaces the first time I heard the tempo change in “Take Me Out,” and it wasn’t even that the idea of (gulp) “disco-punk” was really all that fresh at that point. I’m thinking that the Franz’s appeal lies mostly in the way they—or at least the way frontman Alex Kapranos—carried themselves, which is to say like cleverer-than-thou British dandies in the tradition of Jarvis Cocker or the Divine Comedy’s Neil Hannon. Kapranos’s band’s stock in trade was lascivious, white-boy grooves designed to rule over indie-dance night while also fueling said night’s male denizens with just enough confidence to momentarily believe that they too could be as suave as Kapranos in order to vibe with that doe-eyed hipster in the corner. Remember the oh-so subtle lyrics from “Matinee” where the protagonist envisions himself romancing a waifish female in the dark of a movie theater before being interviewed by Terry Wogan on the BBC? What cardigan wearing Belle & Sebastian fan hasn’t fantasized about exactly that? Silly dandy; Kapranos even spent his downtime from the band writing a food-centric travelogue for chrissakes. The first Franz Ferdinand record is a near classic, and its 2005 follow-up You Could Have it So Much Better, was good, if admittedly rushed. So the boys retrenched, taking their sweet time with album number three, and supposedly even scrapping a wealth of uber-poppy material recorded with Brian Higgins, notable for producing British reality show femme-fatale group Girls Aloud. Tonight: Franz Ferdinand is the result of recording sessions inside of a giant Glaswegian gymnasium, and according to Kapranos in a recent Rolling Stone, if the songs on the finished product “don’t sound like they’re ready for a greatest hits album, then they don’t belong on there.” How very Bono. The gymnasium in question would likely need to be very large to contain the immense amount of keyboards that went into making this album. Apparently Franz Ferdinand equated “third album evolution” with “vintage keyboard frenzy”; they’re absolutely everywhere. I’m hearing a clavinet, farfisa organ, various moogs, and in the case of the second half of “Lucid Dreams,” laptop keyboard. Still, the ivories act predominantly as window dressing and occasionally as a counterpoint to the band’s crack rhythm section, which still generally serves under the name of disco. But when you’re capable of swerving as hard as the Franz, this needn’t be a bad thing, and Tonight offers as a fine reminder of all the shiny fabulousness indie-rock clubs were bereft of when these dudes weren’t around. Most bands, save maybe Spoon, simply don’t have a rhythm section capable of rolling out such a motherfucking jam as opener “Ulysses,” a half-time stomper that doesn’t so much steamroll its competition as smack it across the face and proceed to question its manhood, “la, la, la, la”-ing all the way to the bank. It’s easily their best single since “Take Me Out.” If nothing else on Tonight quite achieves that same level of debauched glee, it won’t be the fault of bassist Bob Hardy and drummer Paul Thomson, the guys that constitute the bedrock under the second half of “Lucid Dreams,” a headphone jocking electro-jam a la Hot Chip that is the only album highlight that is not “Ulysses.” And if potential singles fodder like “No You Girls” and “What She Came For” deviate little from the Franz Ferdinand playbook (excessive keys notwithstanding), both swing extremely hard. In fact, if anyone’s to blame for the majority of Tonight falling shy of past glories, its Kapranos. The character sketches and fine-tuned details of earlier tracks like “Jacqueline” and “Walk Away” have been largely replaced in favor of universal banalities like “No you girls never know / How you make a boy feel!” and “You turn it on!” (from “Turn it On,” natch). Kapranos clearly strives to live up to his self-styled image, but his words have never seemed so grossly shallow. And anyway, he seldom gets to sing anything on his own anymore, sharing nearly every vocal with his bandmates or multitracking to the point where it sounds like he is. I’m mostly just nitpicking at this point. While hardly the evolutionary leap forward that the band had suggested was afoot, Tonight is still, inarguably, fine for now. 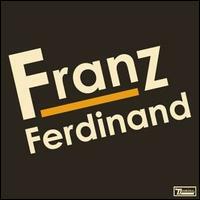 Despite their attempts to muck things up with every keyboard noise imaginable, it’s still unmistakably a Franz Ferdinand record, replete with all of the flair that description implies. Though the dance floor Casanova thing might become awfully tiresome by album number four.